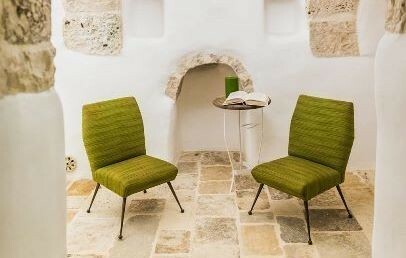 of Puglia and all lovers of architecture able to appreciate this exceptional example of refurbishment. 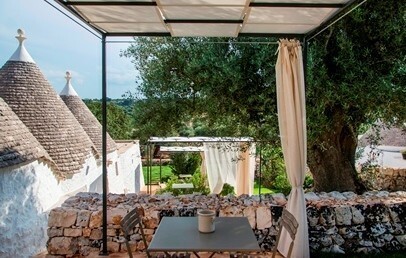 Set in the countryside of Cisternino, just 11 km from Ostuni, Borgo Canonica Trulli di Charme is the perfect destination for a visit to the Valle d’Itria, offering the opportunity to appreciate its charms to the full. 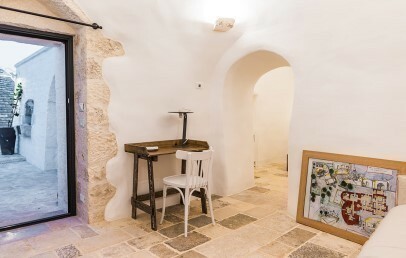 The best-known localities of the region can be reached in a short time: Locorotondo 13 km, Alberobello 21 km, Martina Franca 13 km, Caves of Castellana 35 km, Monopoli 35 km, Polignano a Mare 43 km. 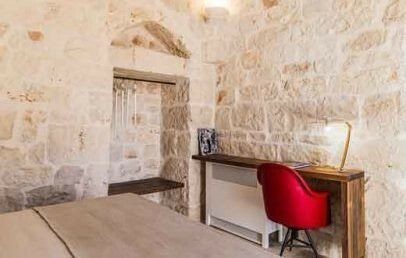 The fruit of an exceptionally fine renovation project, Borgo Canonica represents the refurbishment of a rural hamlet dating back to the 1800s: exposed stonework, whitewashed walls and the essential lines of iron elements, all belong to the architectural heritage of Puglia. 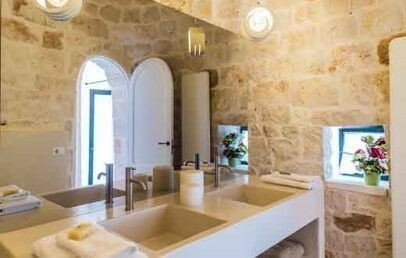 The hamlet consists almost completely of trulli and it is set in an estate of 6 hectares, the true custodian of authentic beauty out of time. 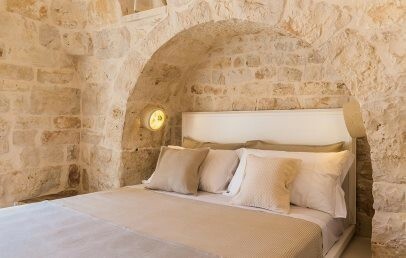 Amidst the ancient olive trees and the dry-stone walls, guests will find a relaxation area, a bar and a splendid 70 sq.m. pool, available to guests throughout the day. 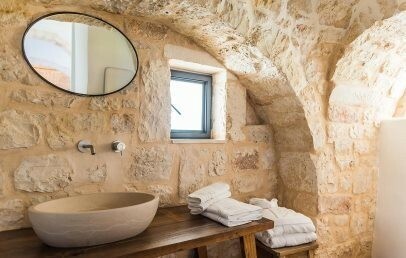 Refurbishment of the 42 trulli of the hamlet has provided 14 suites, each of which has maintained its original architectural characteristics. 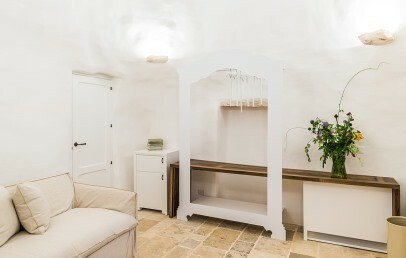 All different one from the other, these trulli measure from 30 to 40 sq.m. and are marked by their welcoming atmosphere based on traditional soft furnishings and colours. Peaceful refuges dotted through the estate, these accommodations can easily be reached by the use of small electrical cars. 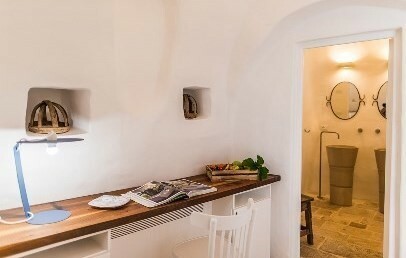 Borgo Canonica’s cuisine also reflects regional tradition. The breakfast buffet, usually served from 8:00 to 10:30, offers fresh and locally sourced products. For lunch (12:30-14:30) and dinner (20-22:30) are served the irresistible delights of Puglia’s food tradition. The price of your stay includes vehicle parking (unmanned but with CCTV), use of the pool and Wi-Fi connection in rooms and common areas. The following services at a supplement: minibar in your room, transfers, massages and excursions. Check-in is possible from 15:00 hrs and check-out by 12:00. Late check-out may be possible subject to availability. Small pets are welcome with a charge of € 25.00 per day. 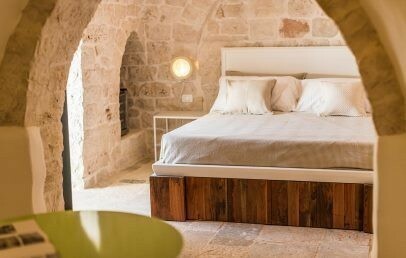 The rough-hewn stonework and traditional furnishing materials confer on the Deluxe rooms a rustic, stylish atmosphere. 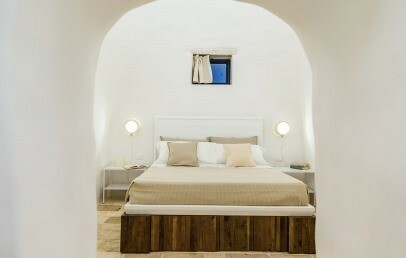 These accommodations have an independent entrance, bedroom (13 sq.m. ), en-suite bathroom and reserved outdoor area. 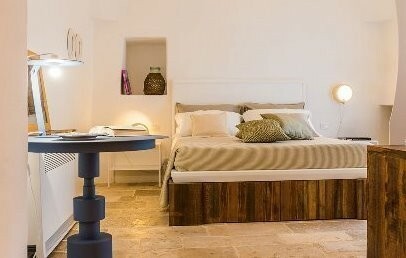 Natural materials and minimalist style – the Superior rooms consist of an entrance, bedroom (21/29 sq.m. 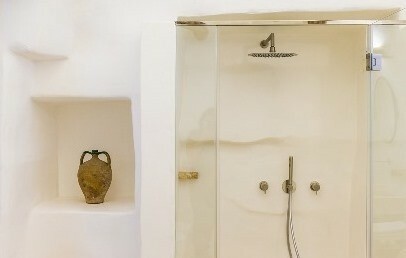 ), a living area with double sofa bed, a niche with fireplace and an en-suite with Private Wellness double shower. These rooms also feature a private external area with table, chairs and deckchair. 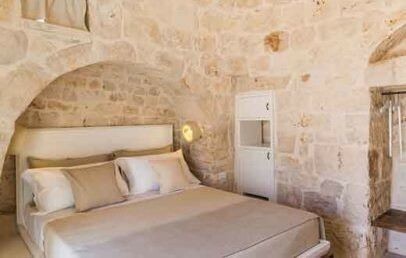 The Suites, with white walls, exposed stone and soft colours, are stylish and welcoming. They consist of an entrance, a bedroom (23/25 sq.m. 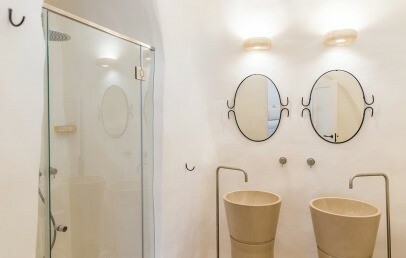 ), a living area with fireplace and a bathroom with double wash basin, double shower and seating. They also feature a private outdoor area with a table, chairs and deckchair. Only for Charming customers: 1 aperitif at sunset!